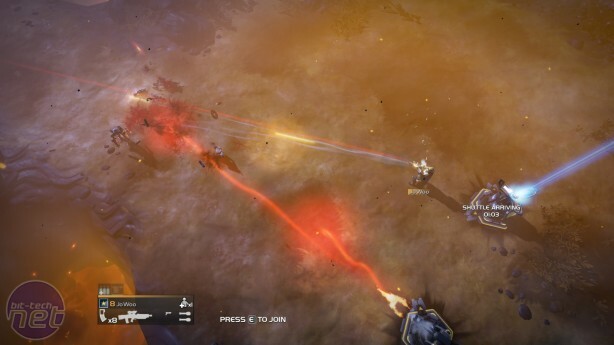 Helldivers is the funniest game about intergalactic genocide that you'll ever play. It's also the best cooperative game of this year, perhaps the best cooperative game since Left4Dead, and this month it arrived on PC like a swarm of giant alien insects. Set up an automated defence turret and brew yourself a cup of Liber-tea, because my oh my do we have a videogame to discuss. 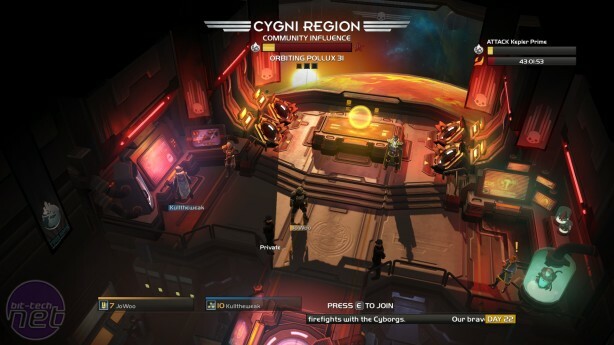 It's an up-to four-player, top-down shooter developed by Arrowhead games, creators of madcap magician multiplayer Magicka. In case you're wondering, yes, it's very much in that vein of frantic ability-triggering and slapstick ultra-violence. 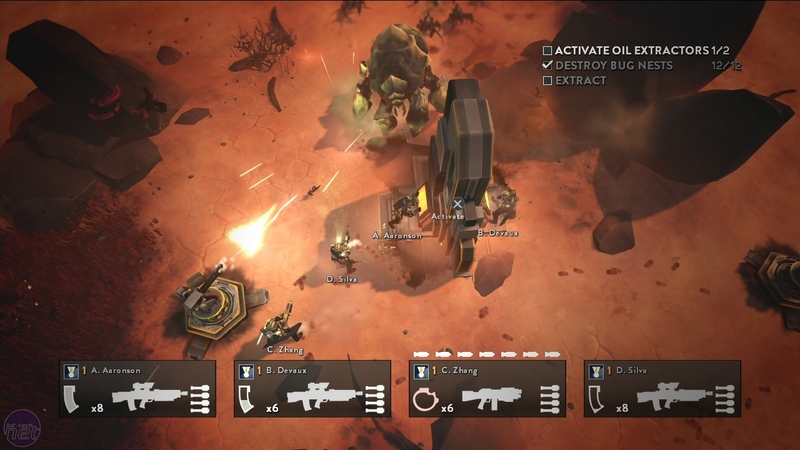 Players assume the role of the eponymous Helldivers; an interstellar group of special forces tasked with the "defence" of Super Earth and the "spread" of "democracy" to alien worlds. It riffs heavily off Starship Troopers, with its tongue stuffed even further into its cheek. The benefits of a political system where every person has a vote is communicated to three alien species through the use of guns, grenades, airstrikes, tanks, orbital strikes and various other fundamental democratic policies. 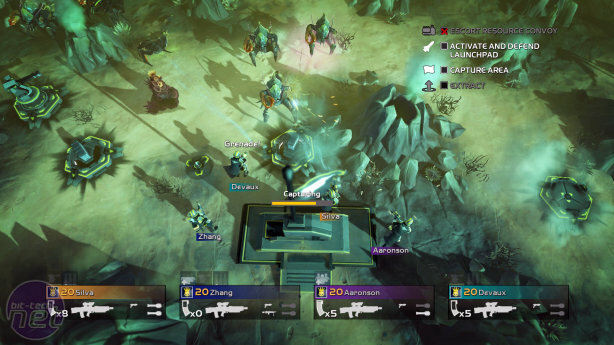 As the Helldivers fire streams of bullets into hordes of oncoming aliens, they scream things like "How d'you like the taste of DEMOCRACY?" in helmet-muffled voices. This pastiche of Verhoeven's film, itself a rather effusive parody of All-American warfare, perfectly matches the insanity that accompanies a standard Helldivers mission. Players are dropped via Hellpod onto the surface of a planet to complete several objectives, such as retrieving a black box recorder and carrying it to a specific location, clearing a minefield, activating anti-air missile arrays and performing geological surveys. Once all objectives are complete, the team must then activate a shuttle beacon and survive the alien onslaught until extraction. Sounds straightforward enough, right? Wrong. Helldivers is deliberately designed to be tough, unpredictable and panic-inducing. 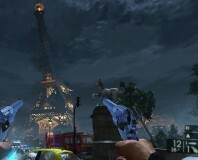 For starters, ammo-clips are tiny, and you can only acquire more ammunition by calling in drops from orbit. Friendly-fire is always on, and if you're wounded in battle, it's extremely difficult to get back on your feet without aid of a friend. Enemy patrols constantly weave across the surface of a planet, and if one spots you and raises the alarm before you can take it out, the aliens will launch a full-scale assault on your position. If another one spots you while fighting this assault, you'll have to fend off another attack, and so on until everyone on one side is dead. Even with a full complement of Helldivers, you're always massively outnumbered. Fortunately, there's a massive support network orbiting in space above you. 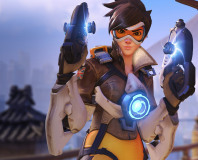 By inputting a series of commands using the d-pad or directional buttons, you can call in various kinds of "Stratagems" which range from devastating airstrikes, to deployable gun-turrets, to minigun-toting mech-walkers. Each of these is a massive boon to your fighting ability, but they can be as dangerous to you as the enemy. Minigun turrets, for example, don't differentiate between friend and foe, so if you don't hit the deck when a turret whirrs in your direction, you'll be mincemeat. Similarly, any Hellpods dropping from orbit are lethal if they land on you, which can be especially embarrassing if the Hellpod you called in is bringing back a downed friend. 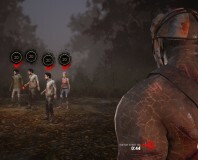 Dead by Daylight is all killer, but it needs a little more filler to be a true great.